Max Wexler 1992 18 72 6892 15 minutes from downtown. Set against the beautiful Petchaburi’s mountain range with some amazing views of the Gulf of Thailand, Palm Hills Golf Club and Residence is to say the least picturesque. Separated by a rocky outcrop that extends from the imposing mountain range, the course runs from east to west and incorporates fast greens with some very tricky burrows. 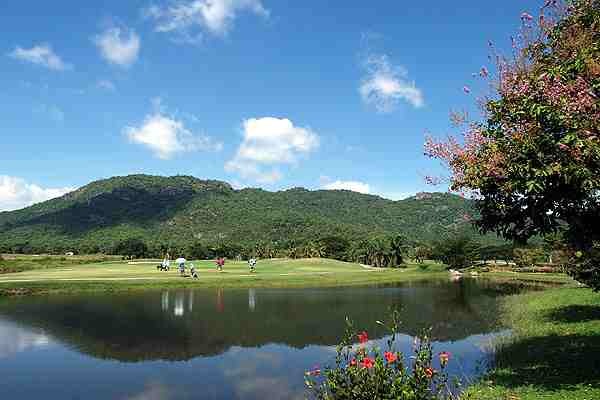 Palm Hills is an excellent golf course always well maintained and in tip-top condition, the long course winds around low hills with distant sea views a visit to Hua Hin must include a round at Palm Hills. The well-appointed clubhouse fits in well with the surroundings; it too, is stunningly beautiful.